I can translate any text from English into German or German into English of up to 500 words. Any additional words will be charged at 500 words per hour. 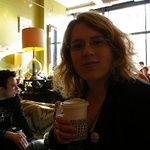 I am bilingual (native German, native English) and have over 10 years experience as a freelance translator. My previous clients include the UK Home Office, German and British Police, Amazon and a number of smaller companies. Please view my profile for recent feedback. I will need to provide me with a word or excel file with the content to be translated. I will also need you to send me your full name (company name), address and, where applicable, EU VAT ID for invoicing purposes. good work, fast and efficient. Excellent and fast work. Thanks Anja ! I am a German-American freelance writer, project manager and translator (German / English) based in Hamburg, Germany. I hold a BA (Hons) in print journalism and specialise in editing...Read moreI am a German-American freelance writer, project manager and translator (German / English) based in Hamburg, Germany. I hold a BA (Hons) in print journalism and specialise in editing and layouting. I can use photoshop, In Design and Quark Xpress and have worked for a number of German and English publishers (Axel Springer, Wears the Trousers Magazine, Schmidt Magazine etc). I have also worked as a translator for the past 15 years with a particular emphasis on criminal justice, but I am confident with all subject matters. 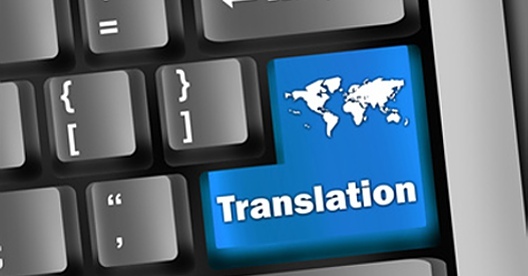 I have worked for a number of clients, including the German and UK police, Amazon and a US-based translation agency. I am a fully qualified project manager (Prince 2 Practitioner, Management of Risk Foundation, Agile Project Management Foundation, Business Change Management Practitioner) and have worked on a number of European Commission funded projects. I am also particularly experienced in writing EU Commission funding bids. Summary: As you can see from my resume, I have experience in copy writing, editing, translation and project management. I am very versatile and have been able to apply my writing and management skills to very varying roles. Description: Freelance researcher for Taylor Nelson Sofres, specialising in medical and industry research. Description: Freelance researcher specialising in medical research with a particular focus on stoma therapy. Description: Editor of Schmidt Magazine, a magazine for Germans in London. This was a free print magazine, distributed monthly in shops and institutions across London. Description: Office Manager for the German Federal Police Liaison Office at the German Embassy. Tasks included office administration, media summaries and translation of files. Description: Freelance journalist for German newspaper Blickpunkt. Tasks included coverage of local events, research of entertainment guides, taking photographs and conducting interviews, as well as using the inhouse layouting system to prepare pages. Description: Freelance assignments for various publications, such as Bild der Frau, Hamburger Abendblatt, Elmshorner Nachrichten and Hamburger Morgenpost. Description: I am a regular writer for Wears the Trousers Magazine, a magazine for women in music. This includes interviews, CD reviews and gig reviews. Description: I was a project manager for a UK criminal justice organisation, which involves the preparing and submission of funding bids to the EU Commission and the management of projects in accordance with EU and UK regulations. I am a qualified Prince 2 Practitioner and hold a foundation certificate in Management of Risk. Description: Director of Finance of independent record label Sotones Records (www.sotones.co.uk). This involves account and book keeping and contributing to regular board meetings. Summary: I attended school and college in Germany, but also spent a year in the USA to obtain a high school diploma. I obtained 13 A-levels in Germany, but specialised in German an English Literature, Geography and Mathematics. I obtained a First BA Honours Degree in Media Studies (Print Journalism) at the University of Westminster and have since attended language classes at the University of Westminster to improve my French.